The NeoVictoria Skyclub in Machinima SIM is located on the skylevel (skymall) and is an out-of-character (OOC) location. Here we have our townhall meetings, enjoy parties and play games. The 2016 “Talk Like a Pirate” Party in the Skyclub in Machinima SIM. Mateys …it wer a great success, this coming-together of scurvy dogs and knife-wielding lasses! Miss Gabrielle Riel rolled the shanty tunes on Radio Riel’s airways, and brought pirates and scallywags from across the Steamlands to the festooned skyclub in Machinima SIM. And those what could attend, left some rum for the latecomers! Until next year, weigh anchor and hoist the mizzen! Gabi and Guy Holder cut a rug. Miss Paisley brings the boat. Dedagin Andagin strikes a pose. 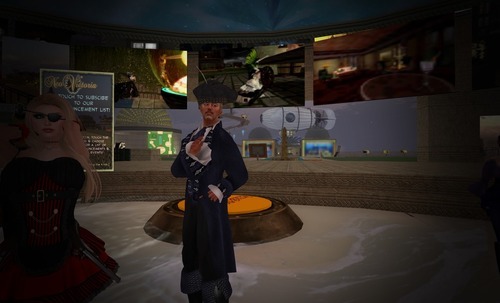 Radio Riel and the NeoVictoria Project present the 2016 “Talk Like a Pirate!” Event! 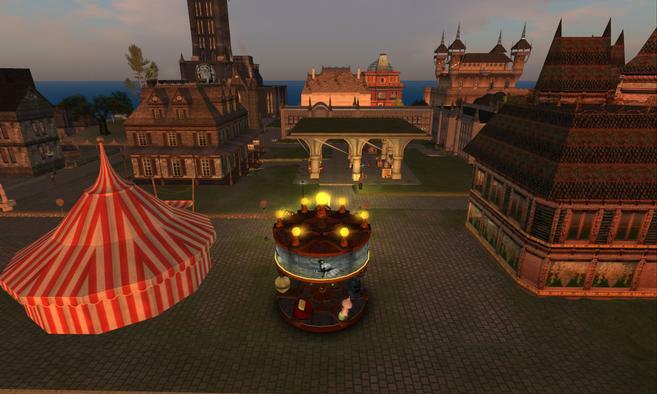 A celebration marking the NeoVictoria Project’s sixth year in Second Life! The votes were counted and it was time to toast the winners of the photo contest. Otenth Paderborn spun a fabulous collection of steampunk and dark-cabaret tunes, we had a costume contest for Best-In-Steam, and Asil showered the winners with Lindens and love. Plus, all who attended received a souvenir 2016 calendar featuring the winning photos! corcosman voom’s “Rooftop View” was a finalist in the 2015 Contest! Otenth Paderborn DJing at the 2015 Photo Contest party! The party is on at the NeoVictoria Skyclub during the 2015 Photo Contest event! Winners of our “Best in Steampunk” in-world costume contest at the 2015 NeoVictoria Photo Contest party. Tarquin Evermore wins third place in the costume contest. LucindaJaneStrathmore as a Steampunk augment at the 2015 Photo Contest Party! kei kojishi as a Steampunk Fylgjur. Zantabraxus Aristocarnas and KlausWulfenbach Outlander dancing at the 2015 NeoVictoria Photo Contest. Tabriss Masala joins the party. GuanaDaredso brings their dinosaur inspired avatar to the party. 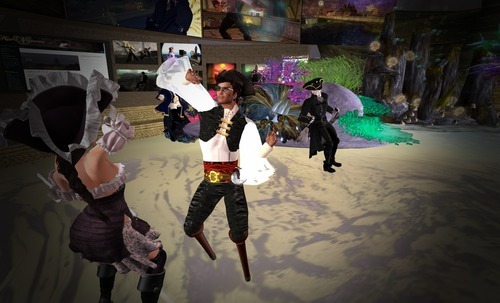 ChuChuLaverne dancing at the 2015 NeoVictoria Photo Contest party. 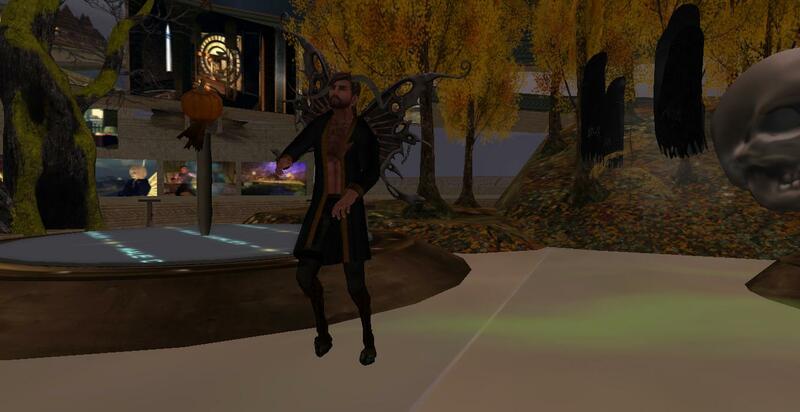 Ancasta Resident at the 2015 NeoVictoria Photo Contest pary. Zantabraxus Aristocarnas and KlausWulfenbach Outlander Dancing. “Fiddler On The Roof” by MadMechaMessiah was the winner! “Midsummer Magic” by GhostFacedKillertook second place. “I Aim to Misbehave” by Abigale Heron took third place. “Midnight Walk” by Tara Aulder took fourth place. “An Autumn Mourning” by MadMechaMessiah took fifth place. “Auditor and Rampart” by AlyssTheMenace took sixth place. “Mad Science” by Doudidouda took seventh place . “Fallen” by Jasmine0Alaya took eighth place. “Picture the Day” by Aedenna took ninth place. “Time is Running Out” by h6ven took tenth place. “Observatory” by Tara Aulder took eleventh place. “Rooftop View” by Corcosman Voom took twelfth place. with “Audience with the Queen” by Pandora Reverie, “Cerridwen’s Cage” and “SunDial” by Studio Yue making it to the finals. Congratulations to everyone who participated. It was a great showing; thank you! The NeoVictoria Project presents the 2015 Photo Contest Award Party! And we’re having a party in the NeoVictoria Skyclub to celebrate the excellent work and reward the folks who did it! Live DJ Otenth Paderborn will be spinning tunes and there will be a very special souvenir given to all the folks who attend. To read the official rules, visit the Official Rules for the NeoVictoria Project’s 2015 Photo Contest in our Koin-Up group. About The NeoVictoria Project: NeoVictoria is a unique dark roleplay platform that brings creative people together in a supportive and collaborative environment. Built with a Steampunk aesthetic, the goal of The NeoVictoria Project is to create a virtuous circle where roleplay becomes filmed story. Website: http://www.neovictoria.net. Contact for NeoVictoria: Asil Ares. 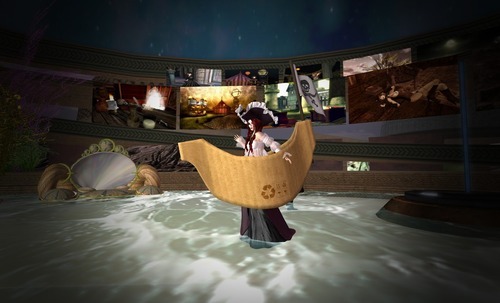 All of SecondLife is invited to vote in the finals, via scripted prims rezzed in-world. In-world voting ends 15 January. Visit the NeoVictoria SkyClub and vote your favorites! The NeoVictoria 2015 Photo Contest Ends in Two Days! Only Two Days Remain for the NeoVictoria Project’s 2015 Photo Contest! Abigale Heron’s Panoramic view of NeoVictoria (suitable for october in the calendar). Every year, we host a photo contest and every year, they get better and better! As ever, the contest is about capturing the spirit of NeoVictoria’s roleplay for a 2016 calendar. “Wolf Up Top” by Lazy8 was the winner of the 2014 NeoVictoria Photo Contest! The first round of judging will be by the NeoVictoria community via the Internet. We’ll present the top 15 images in-world for a final vote to determine the twelve winners. In-world voting will be from 8 January through 15 January 2016 and will be located in the NeoVictoria SkyClub in Machinima SIM. Winners will be announced on 21 January at a special party in the SkyClub. “NeoLondon from Machinima” by La Baroque took sixth place in the 2014 NeoVictoria Photo Contest. We had great fun in the skyclub this Halloween. Otenth Paderborn brought an eclectic mix of Steampunk, Dark Cabaret, Halloween and Harvest tunes to the Radio Riel airways. Folks brought great costumes and we danced the night away! Special thanks to Jhaesoph Foxdale for managing the event. 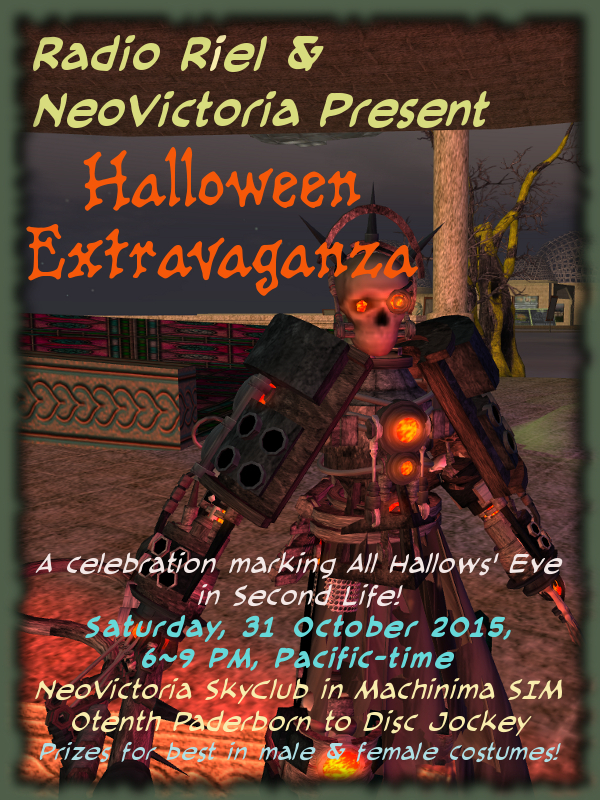 Radio Riel and the NeoVictoria Project present a 2015 Halloween Event! 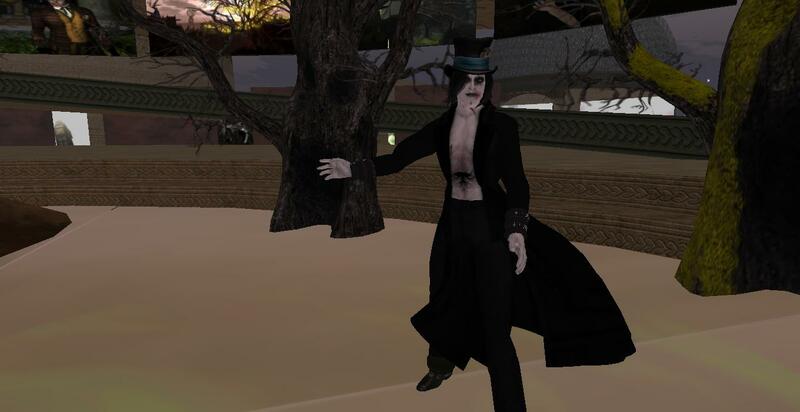 A celebration marking All Hallows’ Eve in Second Life! This live radio event, broadcast on Radio Riel’s Steampunk channel, will celebrate all things spooky and scary. Otenth Paderborn to Disc Jockey. There will be prizes for best in male and female costumes! Halloween is Saturday, 31 October 2015 and will be celebrated all around the world with costume parties, bonfires, divination, haunted attractions and trick-or-treating! We’re having a costume party in the NeoVictoria Skyclub and it’s a steampunk theme. Dress your avatar in scary Steampunk, Victorian, Mecha or Goth styles and join us in Machinima SIM (take the teleporter to the skyclub as rezz-point). The party is not a roleplay event and is open to all adult Second Life residents, however, child avatars are not permitted. Radio Riel will broadcast the event over their Steampunk channel with Mr. Otenth Paderborn as our disc jockey. The lucky he and she to win the “best in” will each receive Lindens! Party starts at 6 PM, SL-time. Come party in the skyclub!